Laparoscopic Appendectomy surgery with the best laparoscopic Surgeon in Delhi India is being offered with the best medical treatment and treatment facilities with the best medical infrastructure. Medical tourism is a term that has risen from the rapid growth of international healthcare where people from all around the world are traveling to other countries to obtain general medical surgery, cosmetic plastic surgery and dental surgery at a fraction of the cost of healthcare in their home country. And, while abroad, if physical conditions permit, patients can experience the interesting cultural attractions their destination country offers. Overseas surgery is quickly becoming a safe and viable option to healthcare in India for the treatment of laparoscopic appendectomy surgery with the best laparoscopic surgeon in Delhi India. The appendix is a narrow, small, finger-shaped portion of the large intestine that generally hangs down from the lower right side of the abdomen. The Surgery in expert hands is now quite safe and effective, and is an excellent alternative for patients with acute appendicitis. It is more complex and is not widely available. The public needs to be educated as to its advantages. All surgeons agree that for women of child bearing age, laparoscopic appendectomy is unquestionably the method of choice. Appendicitis is a sudden inflammation of the appendix. Although the appendix does not seem to serve any purpose, it can become diseased and, if untreated, can burst, causing infection and even death. Laparoscopic appendectomy is a safe procedure, and can provide less postoperative morbidity in experienced hands, as open appendectomy. Most cases of acute appendicitis can be treated laparoscopically. Laparoscopic appendectomy is a useful method for reducing hospital stay, complications and return to normal activity. With better training in minimal access surgery now available, the time has arrived for it to take its place in the surgeon’s repertoire. The laparoscopic (minimally invasive) surgical technique for Appendectomy involves making several tiny cuts in the abdomen and inserting a miniature camera and surgical instruments. As many as three or four incisions are made. The surgeon then removes the appendix with the instruments, so there is usually no need to make a large incision in the abdomen. The camera projects a magnified image of the area onto a television monitor which helps guide the surgeons as they remove the appendix. The cause of appendicitis is usually unknown in India. Appendicitis may occur after a viral infection in the digestive tract or when the tube connecting the large intestine and appendix is blocked or trapped by stool. It is thought that blockage of the opening of the appendix into the bowel by a hard, small stool fragment causes inflammation and infection of the appendix (appendicitis). The inflammation can cause infection, a blood clot, or rupture of the appendix. The infected appendix then must be surgically removed (emergency appendectomy) before a hole develops in the appendix and spreads the infection to the entire abdominal space. Abdominal pain -- pain may begin in the upper-middle abdomen then develop to sharp localized pain. Abdominal pain may be worse when walking or coughing. Fever usually occurs within several hours. Faster recovery and return to normal activity. Traditional approach: You are given general anesthesia. A two inches or larger incision is made in the skin located in the right lower abdomen. You will experience pain and expect to stay in the hospital for 2 to 5 days. You will be able to return to work in 4 to 6 weeks. 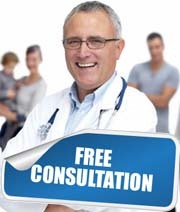 Physician in Delhi may recommend laparoscopic appendectomy surgery. With recent advances, the technique has been modified using a laparoscopic (advanced minimally invasive) approach that avoids the need for a large incision in India. There can be significantly decreased pain in some patients. In laparoscopic appendectomy surgery, the patient is also given general anesthesia. As many as three or four small incisions are made. One is used for the laparoscope which is attached to a camera that sends images to a video monitor. The other incisions are used to hold or manipulate tissue in the abdomen. Carbon dioxide gas is inflated into the abdominal cavity to allow room to work and allow the surgeon to see. The appendix is identified and carefully dissected and removed. Your surgeon may use staples, clips or sutures. At the end of the surgery, carbon dioxide gas is removed. The hospitals of Delhi , Hyderabad and Chennai are among the most advanced medical outsourcing facilities in the world, with specific programs carefully designed to attract international medical tourism patients such as you for Laparoscopic Appendectomy surgery with the best laparoscopic surgeon in Delhi India. In fact, our partners have spent the last decade preparing for the explosive growth of medical travel, specifically adhering to the same high standards as in the U.S. Significant cost differences exist between U.K. and India when it comes to medical treatment. India is not only affordable but the waiting time is almost nil. This is due to the outburst of the private sector which comprises of hospitals and clinics with the latest technology and best practitioners. If you are really seeking for the Best laparoscopic surgeon delhi India, kindly fill up the form for a free consultation by our surgeons. You will be provided with thorough analysis and suggestions regarding Best laparoscopic surgeon delhi India you are seeking for.